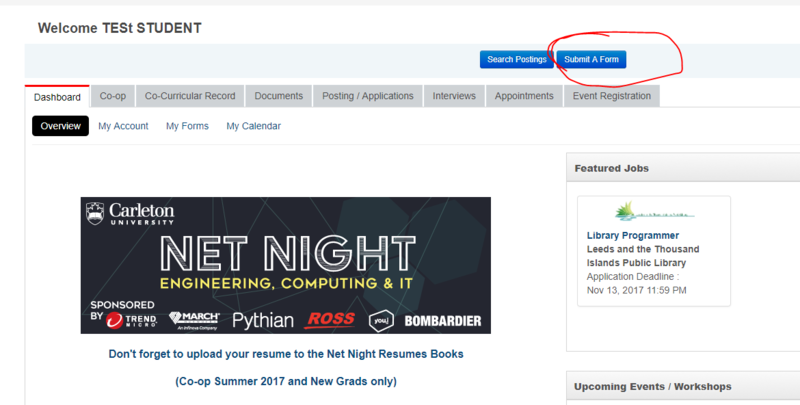 Starting in the Fall of 2017 Co-op Forms will be moving from the departmental website to mySuccess. Below are instructions on how to access these forms. 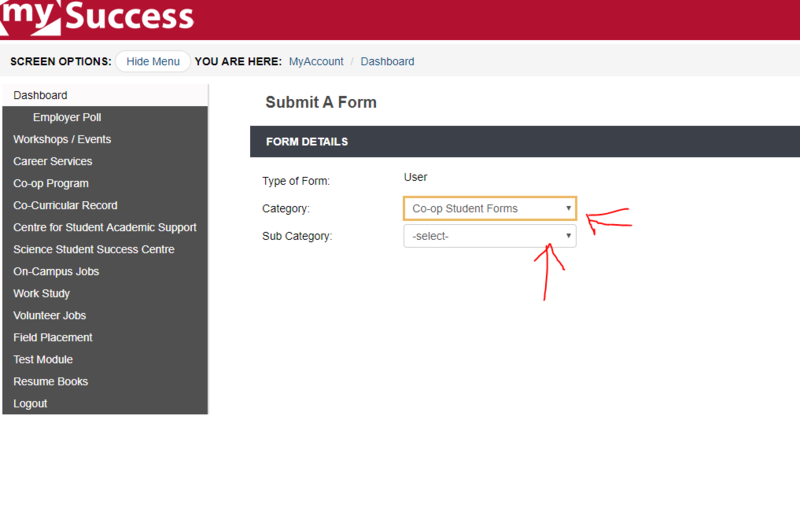 Step 2 – On the next screen you will see a drop-down menu, select “Co-op Student Forms”. 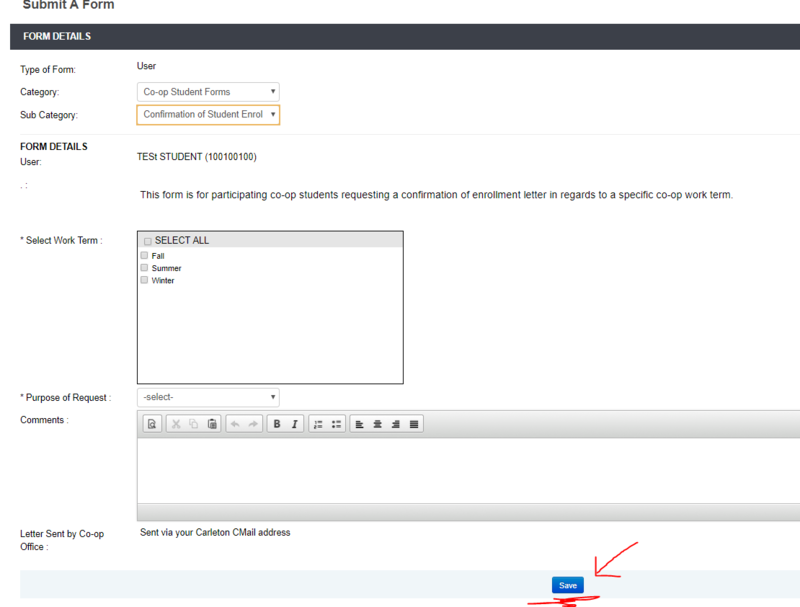 Next, a “Sub Catagory” drop-down menu will appear, select the desired form. Step 3 – The form will now appear, complete the form and don’t forget to select the blue “Save” button at the bottom of the form.